There aren't many food related things I'm scared of. My recent warthog adventure springs to mind... So when I was faced with a jar of coconut oil, I took it in my stride (even though I'd never even seen it before, never mind used it) and immediately set out to find out how I could use it. I'd heard lots about the health benefits of the oil and was quite curious to try it out to see what all the fuss was about. That initial fervour gradually died down though. I tried baking with it, but something must've gone horribly wrong (user error?) for my lemon coconut bars did not quite live up to expectations. Edible, yes. In fact, it was pretty darn tasty, but it had some...um... structural problems if you know what I mean. I also found recipes online that advocated frying with the oil, but that didn't really grab my interest. I needed something that would let the oil shine in it's unadulterated form. And that would preferably yield something that would both taste awesome and look great. Enter my trusty old blender. And a need for a quick grab-'n-go breakfast. Don't we all need those? Blame it on my autumn mojo, but the idea of apple pie in a glass really appealed to me. Not really having a plan except for apples and some vague notion of also wanting to incorporate coconut oil, I set out by peeling some Granny Smiths and allowing them to stew in apple juice until soft. It ended with me taking a lick of the finished product and declaring it "Heavenly". The coconut oil added that extra touch of "mmmm this is good". Not sure about the health benefits in the end, but it definitely tasted like apple pie in a glass. Just what the doctor ordered. This really is apple pie in a glass (or as close as you're going to get anyway!). The coconut oil, strangely, seemed to really enhance the flavour profile too. 1. 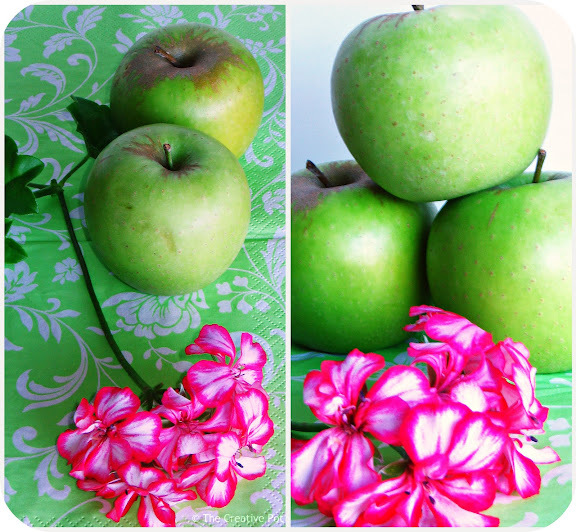 Cook apples in a half cup apple juice until tender and liquid cooked away. 2. 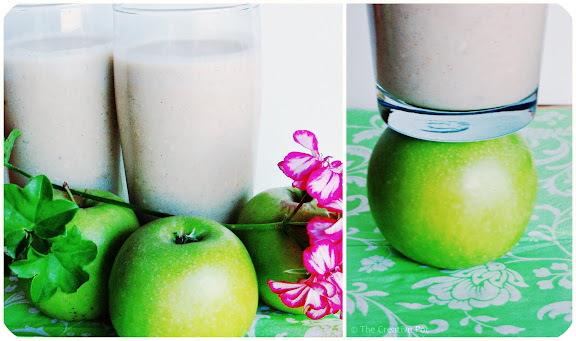 Add apples along with the rest of the ingredients to a blender and blitz until smooth. Full disclosure: I received Kapruka organic virgin coconut oil in my goodie bag at the South African Food Blogger's Conference. However I was neither asked to nor paid to endorse the product on my blog. what a wonderful idea. I bake with coconut oil instead of butter all the time and love the results. Apple pie in a glass certainly excites me. Really yummy, especially with the coconut oil. The Islanders call the coconut the "Tree of life"! Rose - I'll definitely give the baking another try, I really do suspect user error there... I like the "Tree of Life"! Sam - They're just so versatile, aren't they? I wonder why the lemon bars didn't work out...strange. I bet the coconut oil would go really well in some pancakes! Or muffins! This smoothie sounds delicious. Apple pie in liquid form. Awesome. Yummy. 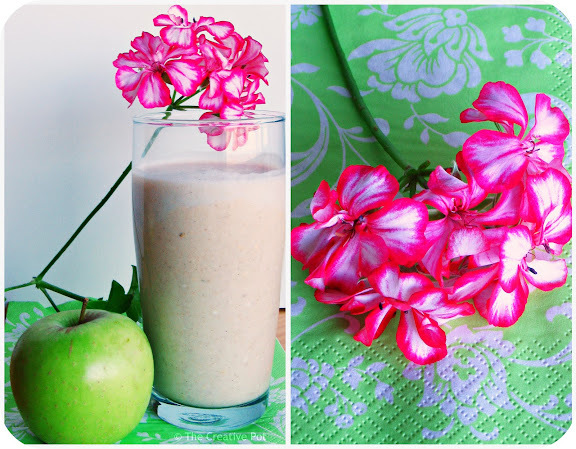 I make an "apple pie" salad dressing that tastes great. This sounds quite good. Thanks! I first heard about this drink last year and never tried it. Your smoothie looks fantastic!! Jessica - That salad dressing sounds very intriguing! WOW this is awesome! made it in my Vitamix and didn't have to peel/cook the apples and it tasted like heaven! Great recipe- thank you!